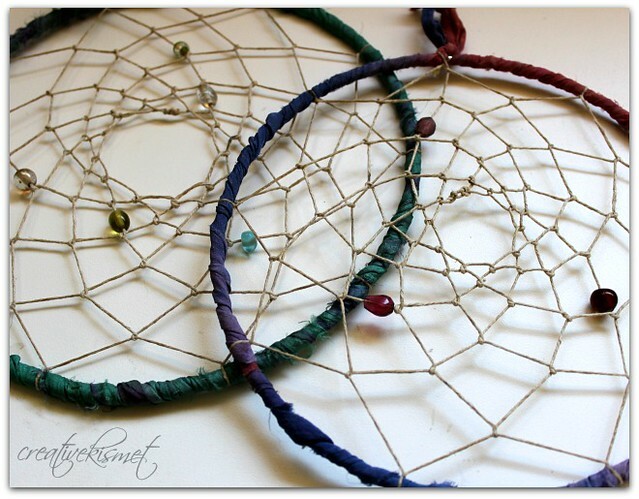 I made a few dream catchers a couple of weeks ago. It took a little time and patience for me to get the weaving part down. I had to re-do my first one twice, but then I got into the groove of it and it was really fun. I used a bunch of different fancy fibers and beads, then made painted paper feathers coated both sides with clear tar gel to give them a little extra weight and durability. 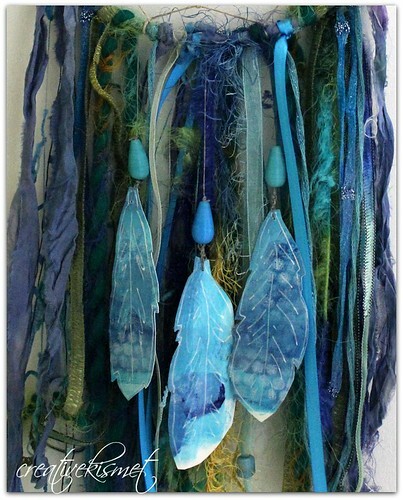 Making the dream catchers reminded me of some wind chimes that I made with my friend Katy in Oregon almost 2 years ago. 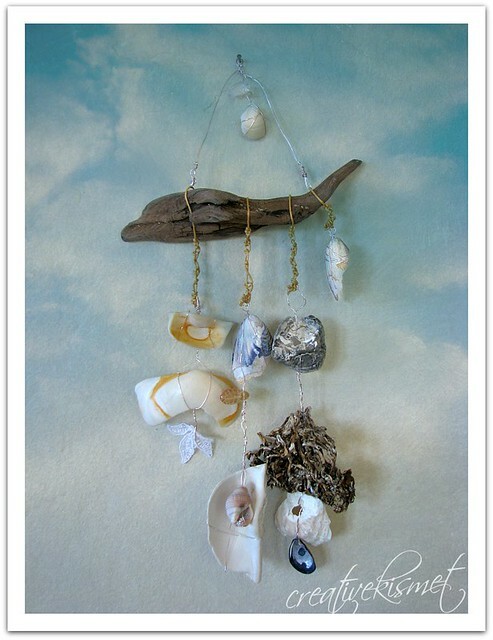 After a day of collecting shells, rocks and other fun stuff at the beach, we went back to her place and made some really fun ocean wind chimes. Totally her idea–totally fun and creative. P.S. 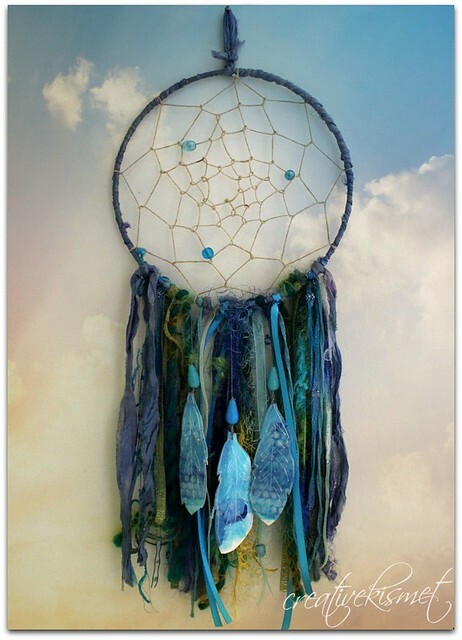 The dream catcher and wind chime photos were edited in my favorite online editing program –> PicMonkey. I used the cloud texture to create the dreamy look. This entry was posted in i make stuff. Bookmark the permalink. so in love with your dreamcatchers!!!! regina those dreamcatchers are soooo beautiful wish you could do market here with me people would go crazy over those!! 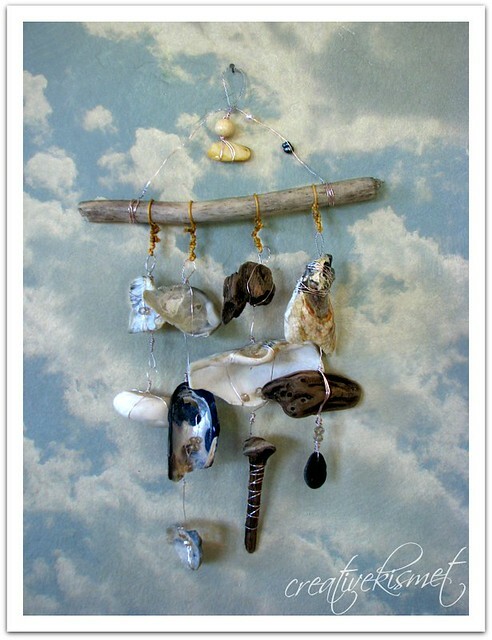 i love seeing the wind chimes:) nice background, very cool! how did you make the texture look like it was only in the background? you never cease to amaze me with all your creativity , you are constantly producing one of a kind SPECIAL beautiful pieces!